Part of the New York Studio School’s Spring 2012 Lecture Series. Internationally recognized artist Philip Pearlstein in conversation with his model of 12 years, Desirée Alvarez, award winning poet, sculptor and painter. The dialogue explores the nature of Pearlstein’s work process and his intimate relationship to perception. Ms. Alvarez is the recipient of three Fellowship Awards from the New York Foundation for the Arts, the European Capital of Culture Award, and the American Academy Willard L. Metcalf Award. 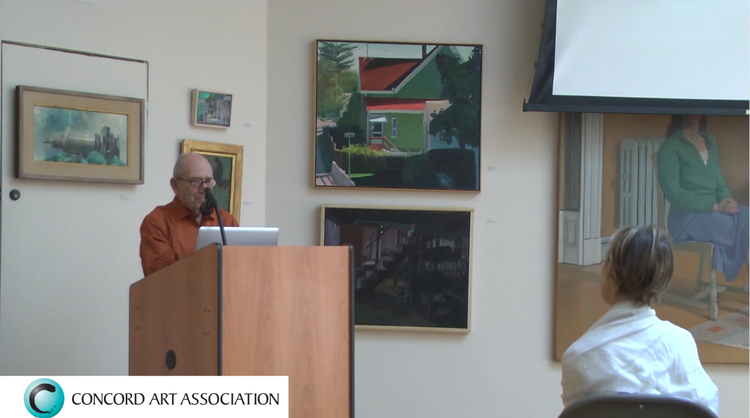 Celebrated painter Philip Pearlstein discusses his 75-year career during an exhibit at The Museum of Art in St. Pete. Philip Pearlstein began painting nudes in the early 1960s when it was a radical move, and he ushered in a new chapter in American Realism. Meet the artist at his Highland Lakes weekend home and in his NYC studio, plus visit a retrospective of his work including his high school paintings, nudes, landscapes and cityscapes, and portraits made of his friends and neighbors. Influential American painter, Philip Pearlstein shares his adventures, mishaps, and the many fascinating anecdotes that highlight his more than 60 year career, from his early abstract expressionist landscape paintings to his paintings of static nudes with bewildering perfection. An American master and realist painter, Pearlstein is renown for the steady strength of his work such that many critics say he is doing the best painting of his life today. Since the 1960s, Pearlstein’s paintings of nudes in a room, have engaged viewers as nothing simple or conventional. As critic Robert Hughes comments when speaking of Pearlstein, “Realism, we learn once more, is neither a simple nor an easy matter.” When Pearlstein first began with the figure, he “just wanted to map what was there…to use the model to map composition.” Pearlstein’s mature paintings reveal increasing complexity. The nudes are just enough bigger, the angles and framing subtly intentional to convey something highly charged, a feeling of power. Pearlstein’s work is in over seventy museums collections in the United States, including the National Gallery in Washington, Art Institute of Chicago, the Corcoran Gallery of Art, Metropolitan Museum of art, the MOMA and the Whitney, among others.